Originally published 5/2/18. Updated 2/13/19. It doesn’t matter who you are or how long you’ve been in a relationship. Sometimes, you just need a weekend away to relax and reset. This time of year can be busy, so not everyone can afford to go away for a week-long vacation in the tropics. But there are plenty of beautiful places around Ohio that you can escape to for some much-needed R&R with your special someone. The Inn & Spa at Cedar Falls is a great way to spend a weekend. If you book their “Rekindle The Romance” package, your stay kicks off in a beautiful cottage with a bottle of wine and a late night snack. Lounge around your room or in the whirlpool tub, enjoy a couples massage, or eat up at a candlelight dinner for two. Package ranges from $650 to $950. Hotel LeVeque is the most iconic building in the Columbus skyline. It’s luxurious, art-deco inspired interior and small, boutique feel will give you the intimate weekend away you’ve been dreaming of. Have dinner at The Keep, a modern French brasserie or go out for drinks in the heart of downtown Columbus. Room prices vary and reservations can be made here. Not everyone would call a weekend away in a treehouse romantic, but that’s probably because they’ve never been to The Mohicans. 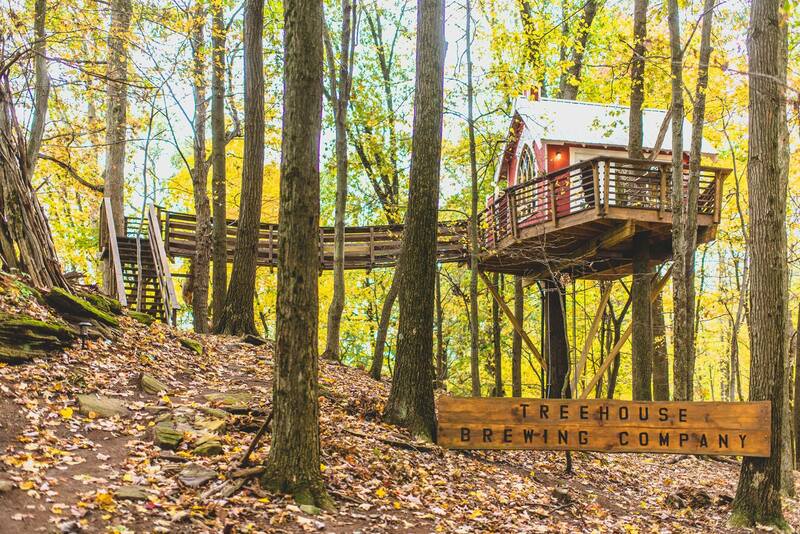 These custom built treehouses are the perfect getaway for the adventurous couple. The treehouses vary in price, size, and decor, but all of them can be made more romantic with some special occasion additions, including rose petals, chocolate covered strawberries and champagne. Click here for pricing and reservations. 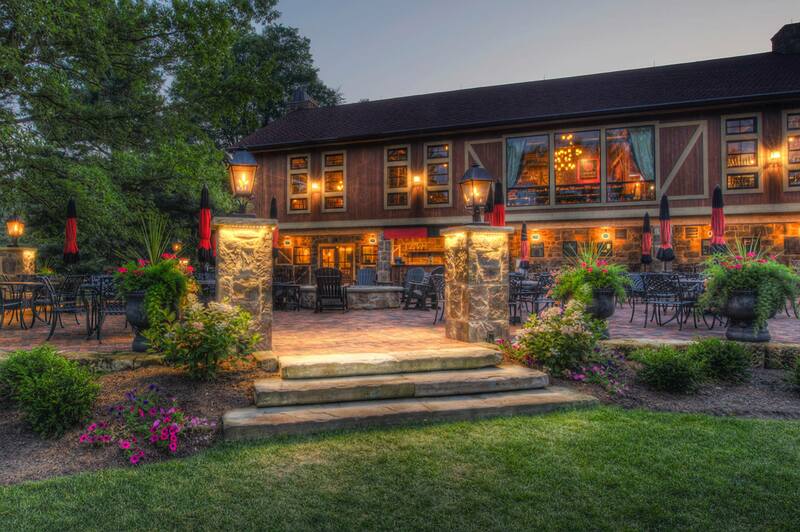 The Villas is an upscale boutique inn at Gervasi Vineyard. In addition to a luxurious villa, you can also book spa packages, order wine and chocolates, or arrange a vineyard tour. If you and your boo love wine, this is most definitely the weekend getaway you’re looking for. Suites at The Villas start at $189 per night. Reservations and more information can be found here. Escape the hustle and bustle of the city at Ravenwood Castle. Nestled in the woods of Hocking Hills, Ravenwood has a variety of cabins, cottages, and rooms within the castle available for the perfect romantic weekend. All of which have an eclectic, medieval flair. Cinderella’s Coach House is one of the most romantic rooms on the property. It is connected to the main castle but feels secluded and private. For reservations, please click here. 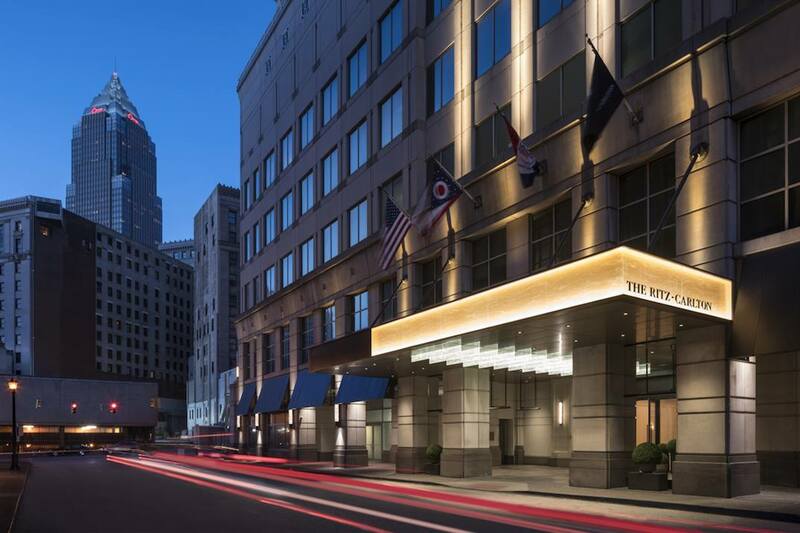 Nothing quite says modern elegance like the Ritz Carlton in Downtown Cleveland. Head north to this iconic hotel and spend an evening reconnecting and enjoying the city. The Ritz Carlton has several romantic packages, including the Enchanted Evening package. Starting at $349/night, the package includes deluxe accommodations, chilled champagne, chocolate covered strawberries, breakfast for two, and valet parking. For more information, please click here. Getting away doesn’t have to mean going far. 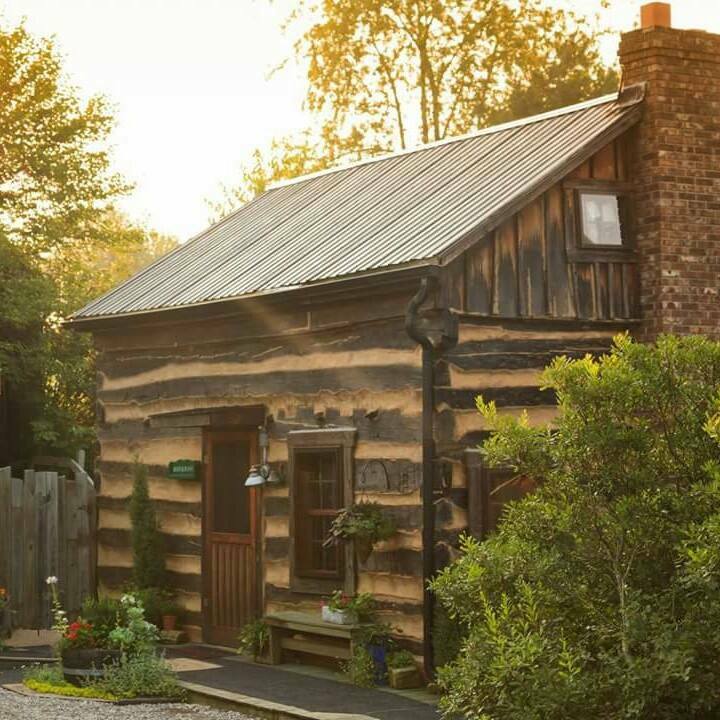 The Timbrook Guesthouse in northwest Columbus will have you feeling warm and fuzzy in no time. With its tropical esthetic and personalized attention, you’ll feel like a million bucks without having to spend a fortune. The East Wing Suite offers beautiful sunrise views and the quiet privacy you’ve been craving. So turn on the fireplace, get snuggled up, and settle in for a weekend of relaxation. Click here for reservations. Forever means forever at the Hideaway Country Inn. Although the inn offers an “Afternoon Delight” package, if you’re looking for a full weekend of fun, you should be looking into the Forever and Ever package. This weekend will include two long stem roses, a dozen candles, chilled Moscato, chocolate covered strawberries, an artisan cheese plate, couples massages and a two-course, freshly made breakfast. Pricing starts at $400+ per night. 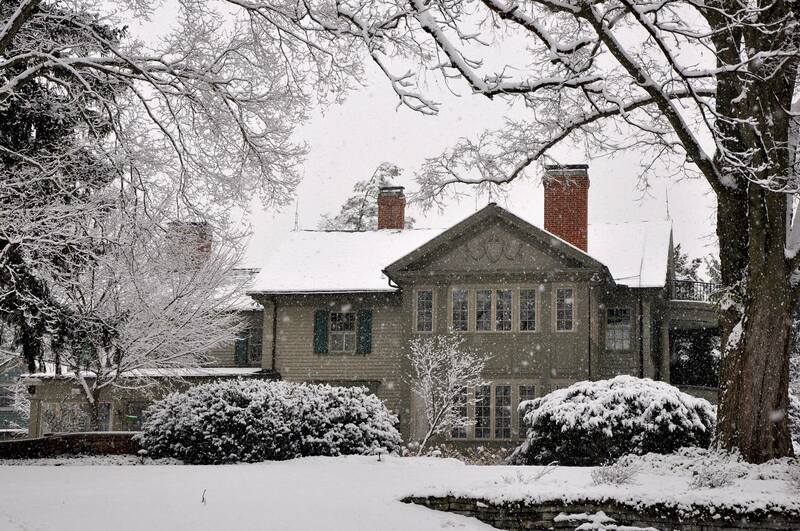 If a private hot tub, hand-crafted artisan chocolates, and a roaring fire aren’t enough to convince you to spend the weekend at Glenlaurel, then I don’t know what would. This charming Scottish-inspired inn offers an out-of-this-world romance package. So what bang do you get for your buck? The package includes two weekend nights in your choice of luxurious accommodation, those aforementioned artisan chocolates, roses, fine dining 7-course dinner for two by candlelight each night, and a gourmet breakfast each morning. For a little extra romance, you can add on chocolate covered strawberries or a bottle of champagne. Packages start at $791. Missing the nightlife of your pre-baby years? 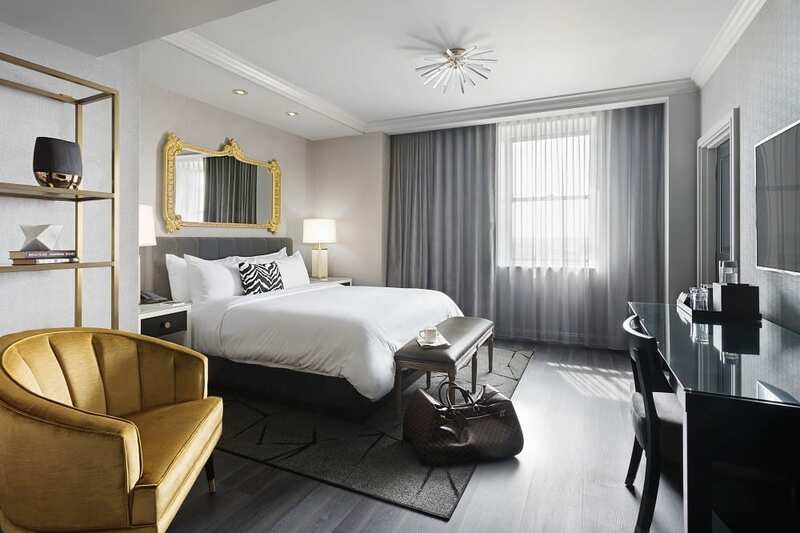 Get a sitter for the kiddos and book the romance package at Le Meridian Columbus, The Joseph. 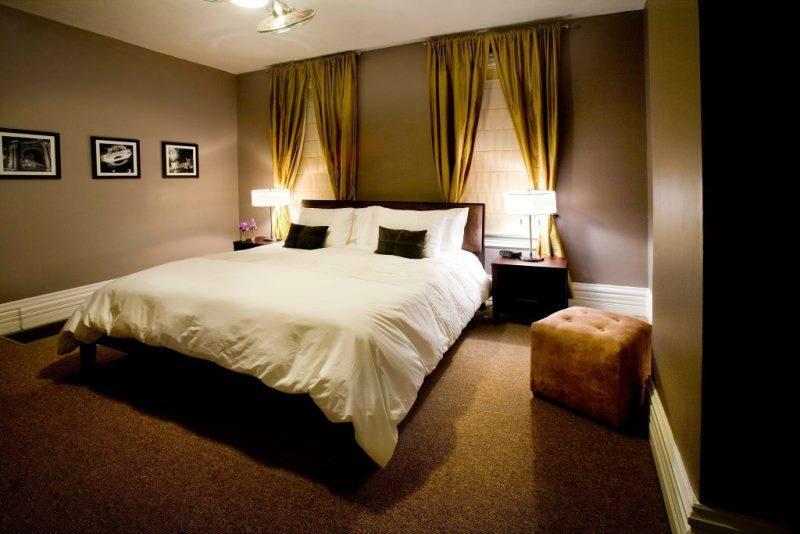 This elegant, boutique hotel is in the heart of the Short North. Grab dinner and drinks in the hustle and bustle of downtown before heading back to the hotel to relax. 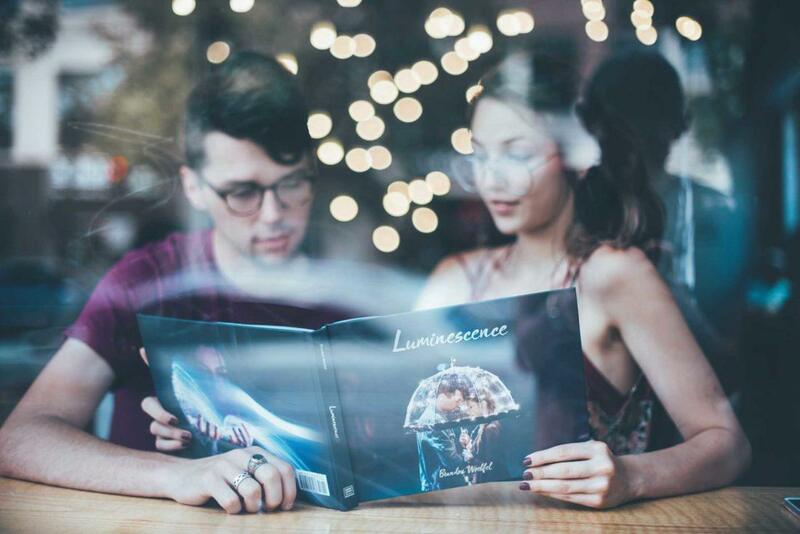 The Unlock the Romance package includes complimentary valet parking, a champagne toast at check-in, two beverage tickets for Soul Bar, and rose petal turndown service. Click here for pricing and information. There’s nothing quite like the historical romance of German Village in Columbus. The brick-paved streets, the quaint shops, and the delicious and fine dining options make it one of the best places to getaway with your husband or wife. 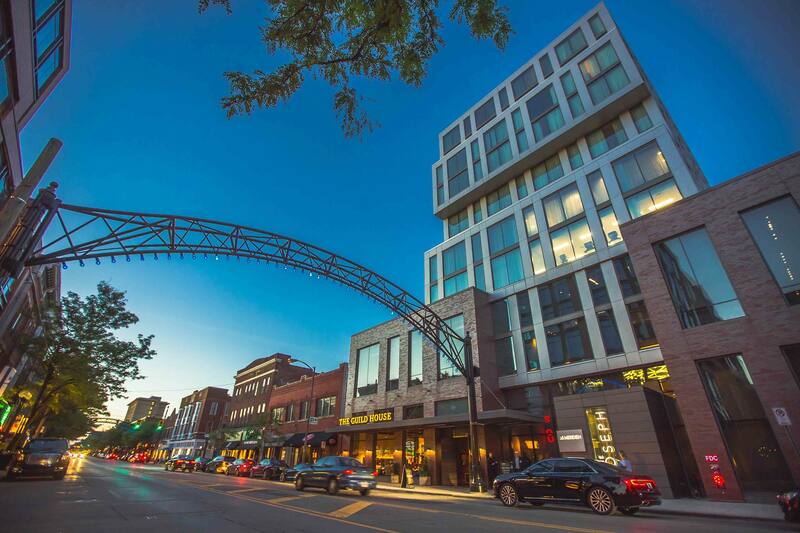 The guesthouse is located within walking distance from the iconic Schiller Park, romantic restaurants like G. Michael’s Bistro and Lindey’s, and just a short Uber or Lyft to downtown Columbus for a show at the Ohio or Palace Theatres. Rooms start at $184/night. The Lafayette Hotel in Marietta opened in 1918 and celebrates the bygone era of steamboating along the Ohio River. The hotel is named after the Revolutionary War hero (and my favorite character from Hamilton), Marquis de Lafayette, who came ashore in Marietta in 1825. The hotel offers a Romance package which includes a stay in an elegant Victorian King room with a dozen of Roses, champagne, and chocolate-dipped strawberries for two. The “Signature Romantic Evening” costs $160.00 per person, plus tax. 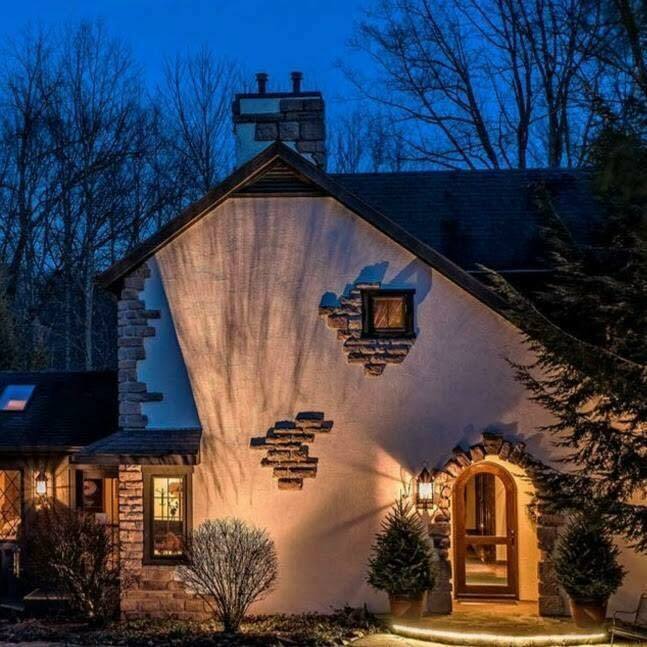 The Inn at Honey Run has some absolutely stunning accommodations. But nothing on the property compares to the Honeycombs. 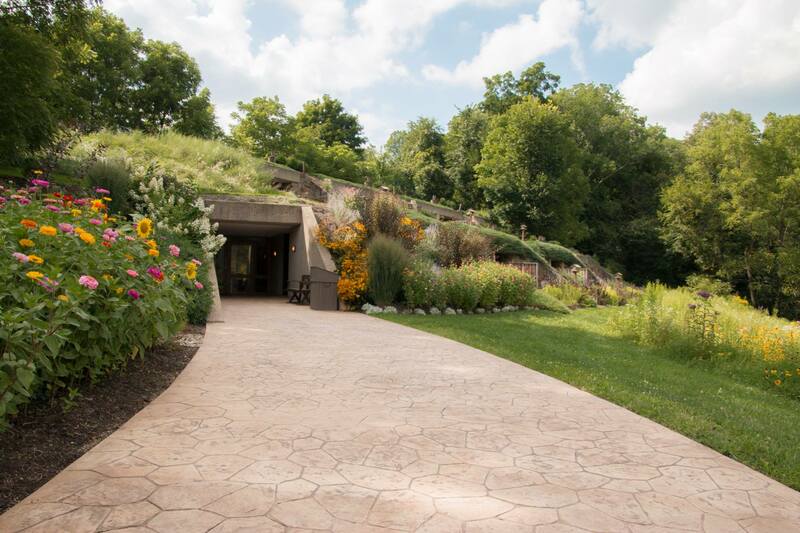 These rooms are built into the earth and give off a very “Shire of Hobbiton” sort of vibe. Benefits of booking a Honeycomb stay include complimentary wine and hors-d’oeuvres in the Tarragon lounge, a patio with beautiful hillside views, gas fireplace, a private entrance, and more. Rates start at $249. It’s always been a dream of mine to go on Safari in Africa, but that’s not exactly practical for a long weekend. If you’re dreaming of a similar trip, you’ll be excited to learn that you and your special someone can stay at The Wilds in Cumberland. 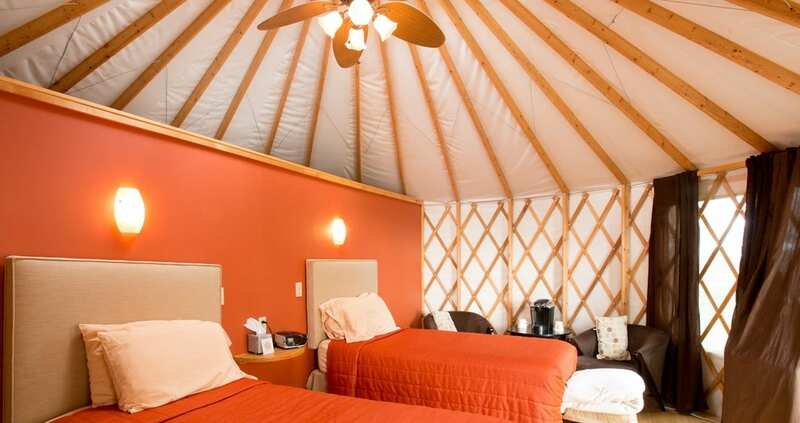 At Nomad Ridge, guests 21 and older are invited to stay overnight in a cozy, romantic yurt. Each yurt comes with its own private deck in the pasture areas of The Wilds. Take in views of animals from rhinos to red-tail hawks and enjoy the splendor and beauty of nature. Overnight packages include an open-air safari tour, dinner and breakfast for two, and a 24-hour concierge service. Yurts start at $325 plus tax per night and are available May-October. 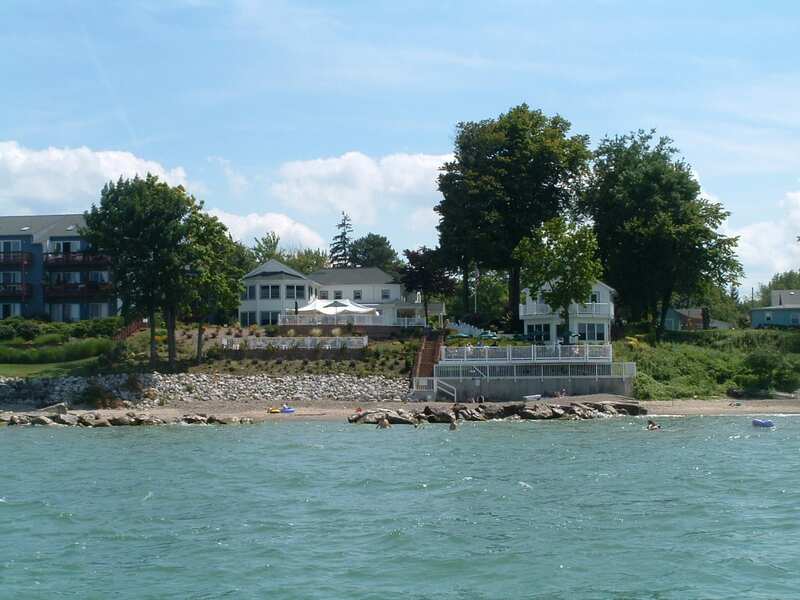 The Lakehouse Inn in Geneva-on-the-Lake is quite possibly one of the most romantic locations you can find in Ohio. The Inn offers a Beach Cottage that is absolutely perfect for couples. The cottage has tons of romantic amenities, including a two-person jacuzzi and views overlooking the lake. Rates for the cottage are between $279-$429 per night, and for an additional $50, you can add the Romance Package which includes a bottle of sparkling wine, fresh flowers, and chocolates. So clear your schedule, surprise your partner, and head out for a great weekend! It’s time to get romantic.